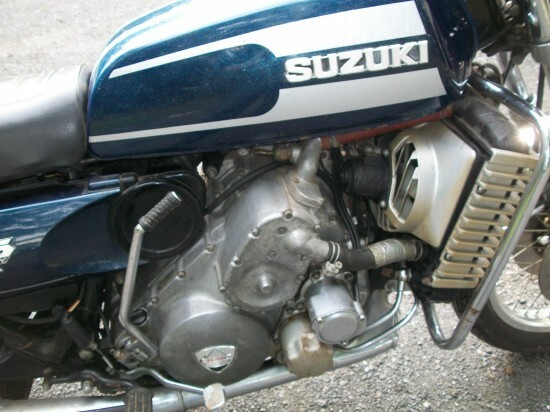 Like the rash of turbocharged motorcycles in the 80’s, Felix Wankel’s rotary had its brief moment in the sun as motorcycle “fad of the moment.” And Suzuki went all-in, getting famous designer Giorgetto Giugiaro to pen the bodywork for the hat they tossed into the three-lobed, apex-sealed ring. 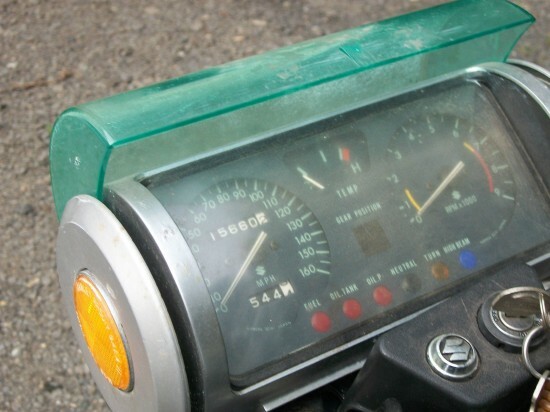 Unfortunately, while his cutting-edge designs were generally loved in the world of automotive design, Giugiaro’s motorcycle designs were far more controversial, and the poor reception of the Re5 was blamed on his design. A much more conservative update didn’t do much for sales, so perhaps his slightly ludicrous flourishes weren’t to blame. In any event, they make this design very funky for classic enthusiasts: check out that wild, cylindrical dash [with hinged cover! ], and matching taillight! 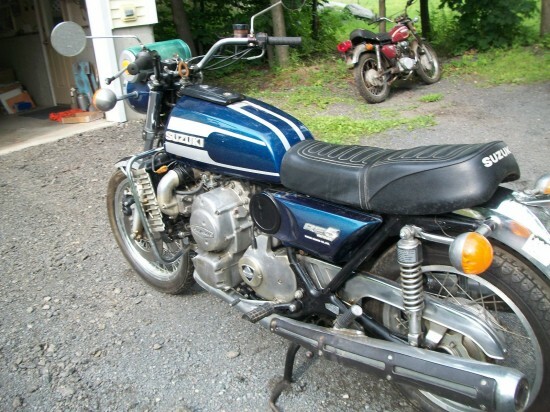 Made for just three years, from 1974-1977 the bike “displaced” a mere 497cc’s, although comparing the relative displacements of rotary engines and their reciprocating counterparts isn’t really useful. 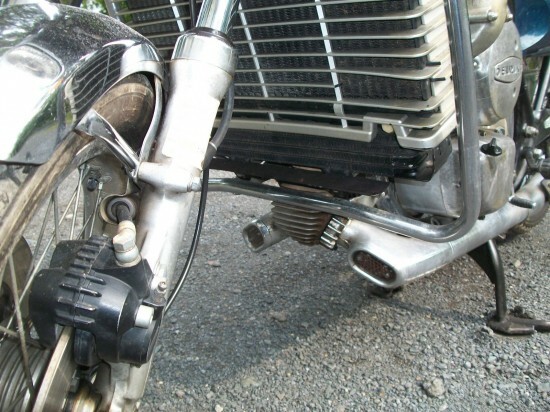 The bike performed well, but was far more complicated than it should have been in theory and offered no real performance advantage over more conventional motorcycles. The simplicity of the rotary sounds like an ideal candidate for a motorcycle powerplant: fewer parts could mean lighter weight and the low vibration means you avoid problems that plagued parallel twins and necessitated work arounds like Norton’s “Isolastic” mounting system. Unfortunately, rotaries in practice can be complicated beasts to make work, and the Re5 actually featured a very complex cooling system that included three separate oil tanks, including a total-loss system to lubricate the apex seals of the engine’s rotor, traditionally a weak point of Wankel engines. This one “ran when parked” but looks to be very complete. 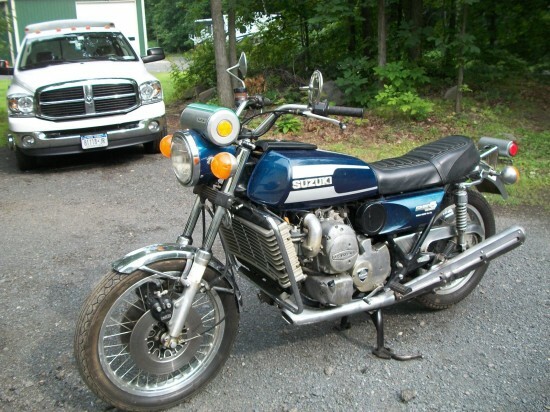 Do some research to be sure parts are available for the engine, but this could be a chance to get a very weird, very rare motorcycle on the cheap. I totally dig it !!! #1 UBOAT! (Ugliest Bike Of All Time). It’s hard to imaging that something called the ‘Water Buffalo’ looks pretty parked nest to it’s rotary cousin. 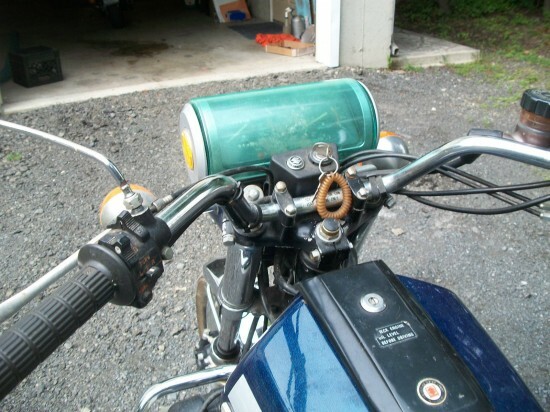 Must’ve been heavy hash usage at Suzuki in the 70s. 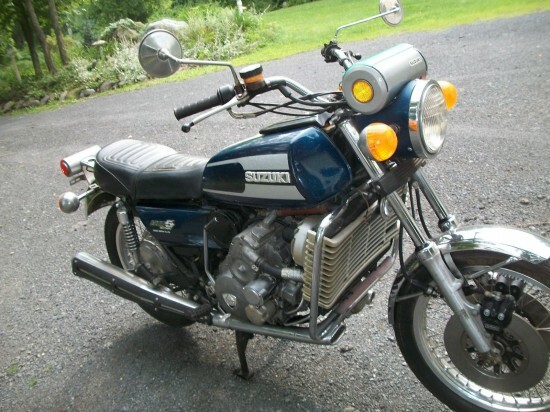 Honestly, I think it’s too bland-looking to be the ugliest bike of all time. That award would probably go to one of those hideous early attempts to ape Harleys that the Japanese built in the early 80’s. They’ve got some really cool details: the oil injection for the apex seals was actuated by the twistgrip, if I remember correctly. Neat ideas, but a bit half-baked. Same as the turbo bikes that came later.